We are very excited to share what’s coming to ON1 Plus in 2019. We have big plans for enhancing the member experience, including new features for our members, new video courses, a new video series, new rewards, and much more! Also, next year we plan on making every new ON1 Plus video available for download. First, let’s talk about how we are going to update the way we deliver the videos (both monthly topics and courses). The new content delivery format will make it easier for members to learn at their own pace and greatly enhance the overall experience. Traditionally, the delivery format for videos in ON1 Plus included a guest coach and topic covered in about 3-5 videos over the course of a month. Starting in 2019 the coaches will kick off their topic or theme by releasing all of the videos in the series at the start. Each of the videos will also be available to download immediately so you can archive and watch them offline. Additionally, each course and series will additional elements such as sample files, written guides, presets and other creative materials. The coaches will then be available to help answer questions and respond for as long as the content and training is relevant. We will hold live Q&A sessions, review lessons, introduce contests or challenges, and actively engage on that topic following each release. The new format will also cover a bunch of new topics and themes centering around both ON1 Photo RAW software training and photography training. 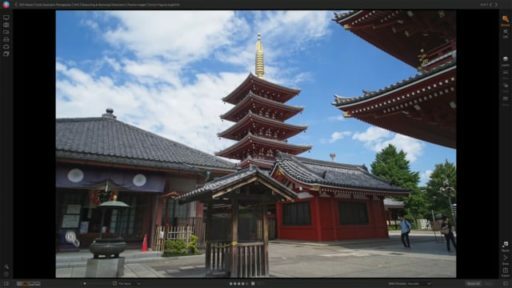 Each month in 2019 we will introduce a new video training series covering post-processing. These topics were chosen by ON1 Plus members back in July. 2 BONUS COURSES – We will let the community decide and vote on the last two courses. ON1 Plus members also chose the six new photography courses for next year. These will include in-the-field shooting instruction, and then we’ll bring it back home to edit those photos in ON1 Photo RAW. In addition to the courses and monthly topics, we will also intermix a new and easy to follow video series. These videos will include the best practices for how to shoot certain subject matter. Throughout 2019 we will cover how to shoot various locations and scenarios. These full videos will cover everything you need to know about how to shoot the subject, gear considerations, what to understand at the scene, and how to get the best looking photos possible in post-processing. Keeping up with the latest photography trends, each month next year we will have exclusive tip videos to keep up with the hottest requests from the ON1 Plus community, these short single videos will include editing tips, gear reviews, travel and location advice and more. Finally, ON1 Plus members will continue to receive double the monthly ON1 Loyalty Rewards, exclusive Photo Critique sessions, Plus-only live events, and much more. ON1 Plus means more! We are very busy building a new ON1 Plus Video Library. We’re completely overhauling the current video library to make it bigger and better. The new video library will make it easier to find, search and filter with a new video library profile to customize your experience. The new ON1 Video Library will be THE place to find and organize all of your ON1 video content. Some of the new features will include the following. We can’t wait for what ON1 Plus 2019 has in store for the Plus community. We are very excited about our plans for the next year and we can’t wait to make 2019 our best year yet! Learn how to become an ON1 Plus member. Thanks for the time to share the awesome news and plans for 2019 Nathan. 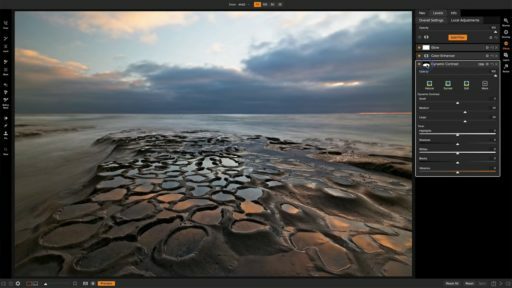 Big thanks to everyone at ON1 for the commitment, dedication and efforts to provide photographers everywhere with ON1’s brilliant software. The 2019 year and ON1 how excellent. Wonderful to read all that will come our way. It will be very nice to have the option to download the coaches videos and much appreciated. Hopefully the wonderful coaches videos may be available for download from the 2018 ON1 plus season? Have a wonderful day and Merry Christmas and Happy New Year to everyone at ON1 and Plus Members. Thank you for the kind words, we’re excited for what’s ahead. All of the previous ON1 Courses are available for download already, the smaller video series and tips and trick videos are not. Starting next year that will change. If you have your heart set on a particular series or previous video send us a note and we’ll see what we can do. Happy Holidays to you and yours. Hi Nathan, thank- you for the kind words and Holiday wishes. Really appreciate your time to connect and share your excitement. What a great year that we just shared and here’s to an epic 2019. You are too kind and if when you have time can you see if Colby Brown’s excellent December’s 3 Levels of Post Processing would be available for download would be so appreciated. Also if possible any chance to still purchase Colby Browns ON1 Photo Kit Creative Editing for Outdoor Photography be available? Thanks for everything and Happy Holidays to all. Season greetings from Africa, next year looks really exiting and full up. I note there is not much planned for any serious wild life , mybe you guys should come to our part of the world for a series on our fantastic line up of wild stuff. Glad to help make it happen. It’s great that the courses will now be available for download. Will all the courses and content still be available to stream or will they be removed after a period of time; if so, will we be pre-warned of their removal?. At the moment I prefer to stream, as I like to keep my drive space for photo’s. Fantastic work ! It is very stimulating and is very important for PR users! Excellent I look forward to them. Having the downloads as mp4 instead of zips would make them easier to view on tablets. Good tip, I will keep that mind. I am enjoying be a member of ON1 Plus. Nathan, wow, makes my membership rewarding. May I humbly suggest an idea – follow guides or any guides for printing be environmentally friendly; lacking of pictures. Just the instructions. I also would like written instructions, it makes a huge difference to have them to refer back to when learning. The written portion of your “Looks” have made them an even more valuable learning resource but even more concise notes would work. Very exciting lineup though I would not forsake the advanced users. 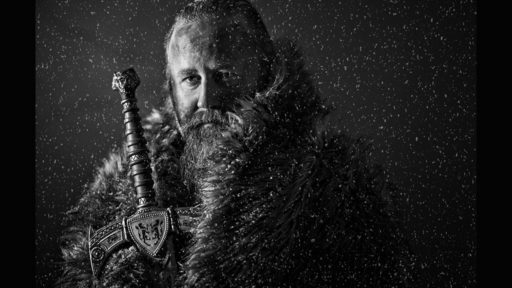 Doug Landreth’s series was nothing short of phenomenal. Colin and Coby produced some pretty stuff too and provided alternative approaches to image processing. Please keep the high quality PP productions coming. Thanks so much that really looks great for the upcoming year. The software is really maturing into a great product and the Plus membership is aligning nicely. Really looking forward to it. Looking forward to 2019 at On1! Wishing the entire On1 team a Merry Christmas and Happy New Year!!! Thank you Nathan, this is a great news for us loving to improve photography and On1 software use. Thanks for the great plans for ON1 plus. I look forward to each one. 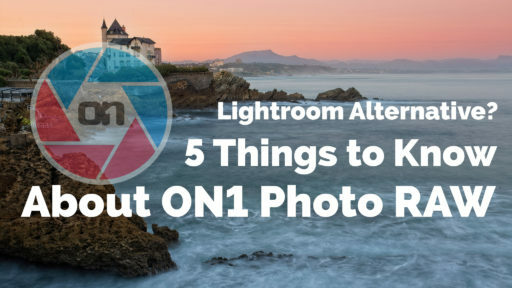 A general comment; it sure would be great if ON1 would add a complete print module so we could move completely away from Lightroom. Thanks and Have a very Merry Christmas and Happy New Year, 2019 will be a good one. Hi Nathan – Wow, sounds like 2019 is going to be even better than 2018 with ON1. As others have said, I’m astounded by the amount of work you all put into making this software the best it can be and in making being a Plus member a fabulous experience. Can’t wait to see the new stuff in store for us. In the meantime, have a wondrous Holiday Season. I have been hoping for a slideshow module for some time. 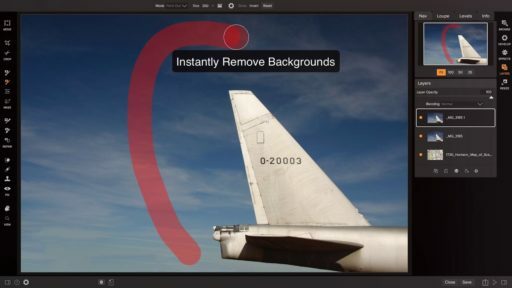 This feature would certainly convince me to leave LR behind. Merry Christmas to the great team! I am very excited about 2019 and thank you and your teams incredible commitment to making the user experience an amazing one. Thanks for all of those videos and courses. I am learning so much and feel much more comfortable with the Photo Raw 2019 layout. Easier to use because it is set up in a more intuitive way. Looking forward to the new year. Merry Christmas and Happy New Year to you and the whole team. Nathan, All the updates have been great. I am a professional photographer which one of the areas I work in is concert photography for a magazine. If it wasn’t for On1 RAW, I wouldn’t have made some deadlines and wouldnt have been able to save some amazing shots where the lighting wasn’t perfect. Looking forward to all that is planned for ’19. Especially being able to download and review the videos on my schedule. Looking forward to the new content in 2019. But I have to say 2018 has been a phenomenal year for PR both from the content side and PR app. I feel photo raw 2019 is a much better product from the workflow perspective making it much more enjoyable to use. I’ve decided to use PR as my daily driver for all my images, the on1 team are doing a fantastic job adding New features all the time and listening to their community / customers. This is what makes me continue supporting ON1. Hope the team have a well earned Christmas Break. Thanks for everything. At 75 I am longer able to do much shooting, but you guys make me want to go back and see how much more I can get out of my previous work. Not always easy to keep up with all the changes, but I am really enjoying PR2019. Nollick Ghennal voish Mannin – Happy Christmas from the Isle of Man. Awesome, awesome changes, especially to the sequencing of the coaches themes with the video training up front. Great change. And total over delivery on all the rest of the changes. Reinforces the wisdom of a switch to On1 for most of the day to day post processing. Nathan and the ON1 team, as all above have stated, we’re anticipating more great things from you. ON1’s community and educational focus take us deeper into using PR that goes far beyond the quality of the program itself. I look forward to understanding and absorbing all of the guidance that you provide. Happy Holidays. My thanks to you, the entire ON1 staff and the terrific coaches throughout the year! All the best for a Happy and Healthy New Year! Wow will I have time to sleep with all this information streaming down. I’ll cope! thanks for all the information over the the past and the coming year, you guys really a put a great deal of effort into it. Have a health, happy and successful new year. WOW! The new content looks great! I for one, am especially grateful for the opportunity to download videos because I can rework courses or parts of courses whenever I need to. I also greatly appreciate the ability to work with images that parallel the videos. This makes it easier to apply the new content to my own images, and helps me appreciate composition as well as creativity. Great work! Thanks for your attention to members’ suggestions and requests as well as your constant efforts to improve an already great product. I really appreciate all of you! Thanks! thank you for your fantastic work and your comitment. Just one question, some picture sometimes cry for an artsy workover( like e.eg. oily), the way Topaz ‚Simplify‘ offered. However it is not a standalone program and works only with Lightroom or PS. Could something like that be considered as program extension or -enrichement in the future? Thank you and all the best and further success for 2019! I join the group above and thank you for a terrific 2018 and if that can be topped in 2019 I can hardly wait. PR is a fantastic program and it is my ‘go to’ for most of my photography now. Great job. Eine deutsche Fassung, – Software und Handbuch wäre super. Lot of great news ! Looking forward to 2019 ! Personnally I enjoyed a lot the short tutos grunge look,… of Dylan Kotecki. Several filter mix giving amazing results in few minutes. 5-20min tutos is really nice. It is more difficult to follow long course or webinar. It is plenty of useful infos but we need to take notes on a paper,… to reproduce them, especially several monthes later.